1.The equipped Weichai engine makes the complete machine have high power output and reserve power. 2.The power producer adopts a new-type high pressure pump to make the complete machine have ultra-strong capacity for lifting and scooping up materials. The application of coaxial flow amplifying technology makes the complete machine lighter and more flexible.the brake system adopts the advanced air over hydraulic technology and the four-wheel caliper-type brake , which is sensitive ,safe and reliable. 3.The wider and heavier front frame is equipped with a super swing arm combination. The rear steel plate frame made by one-step molding makes the machine structure more stable, stronger and more durable . blade, rock bucket, sweeper, trencher, auger, mixer, backhoe arm etc.to meet different need. 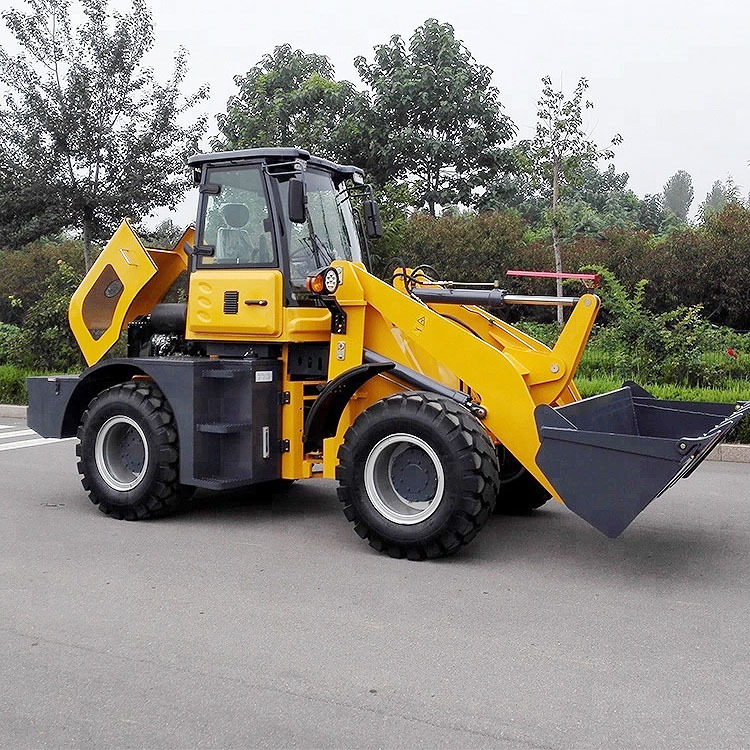 Established in 2008, Qingzhou Rongwei Engineering Machinery Co., Ltd has be a professional manufacturer and export that is concerned with design, development and production of verity of wheel loaders from 1 ton to 5 ton capacity. Our factory located in Qingzhou, Weifang, Shandong province, with convenient transportation access. All of our products comply with international quality standards and has Approved Ce Certification and SGS certification. Rongwei verity of wheel loaders has got good reputation among our domestic and foreign customers. Rongwei brand wheel loader is multi-functional, with more than 30 durable, safe and effective attachments design for different kinds of job. We are looking forward to provide you the most comprehensive field solution and the most perfect products and service in the most critical time. three sets loading in 17.5m truck.